Weagle, along with Owen Purcell, Jeffrey Meagher and Brett Dorey won their afternoon game 12-3 over Sawer Kaeser from Northwest Territories to improve their record to 3-1. 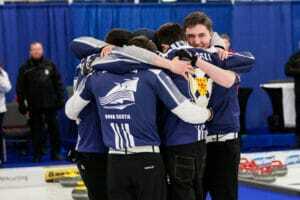 This is the second national championship experience for Weagle, Purcell and Meagher, as they were all part of the winning team at the 2018 Under-18 Curling Championship held in St. Andrews, N.B. Meagher does note that the experience in St. Andrews has paid off in a big way when it comes to playing against the top U-21 teams in Canada. Weagle agrees that there’s a huge benefit to having playing at the nationals before, but notes that their team’s success, regardless of their age, has the competition sitting up and paying attention. 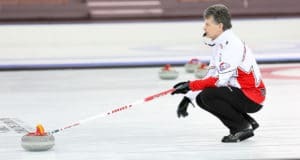 Not only are the four players competitive curlers, but multi-sport athletes. 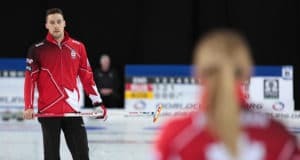 Meagher in particular is a competitive paddler at the national level, a sport that he finds beneficial to doing in the curling off-season. On the live-streamed feature sheet, Ontario’s Sam Steep defeated Nunavut’s Javen Komaksiutiksak 16-3 to climb back to an even 2-2 record. The women’s draw saw the battle of the undefeated teams with Mackenzie Zacharias from Manitoba take on Quebec’s Laurie St-Georges. It was Zacharias with the edge and an 8-4 victory over St-Georges. Manitoba is now at four wins with Quebec dropping to 3-1. The defending champions from Nova Scotia cruised to a 9-4 victory over Northern Ontario. The Halifax-based team skipped by Kaitlyn Jones now sits at 3-1 while Northern Ontario’s Kira Brunton drops to 2-2. Selena Sturmay from Alberta picked up a 7-4 win over Host team’s Skylar Ackerman. Sturmay remains undefeated at 4-0 while Ackerman is still searching for a win after four games. 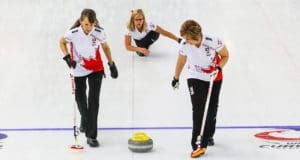 All eyes were on sheet D at the end for the battle between Tyanna Bain from Northwest Territories and Saskatchewan representative Sara England that came down to the last shot. England was able to execute a hit and stick for the 3-2 win and to jump to a 3-1 record. Bain drops to 0-4. Justine Comeau from New Brunswick made a hit for the 6-5 win over Newfoundland and Labrador’s Mackenzie Glynn to advance to 3-1. Glynn moves to 1-2 in the standings. 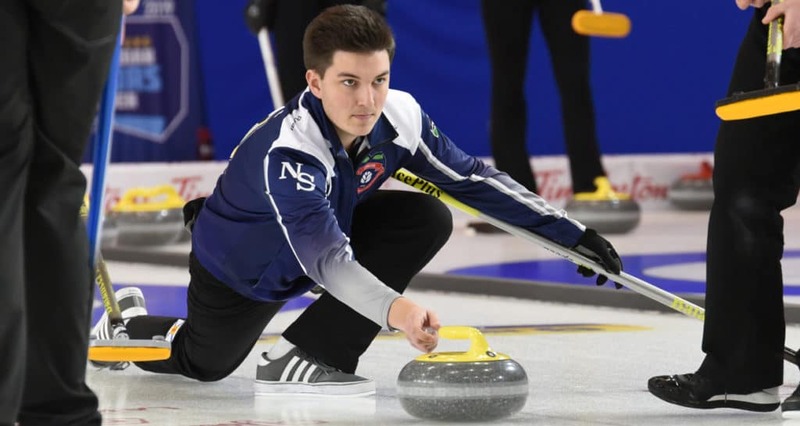 Action continues at the 2019 New Holland Canadian Juniors with draws on Monday at 7 p.m. (all times Central).